I’m having a bit of a baked potato rosti fetish at the moment. I mean who doesn’t love the nice crisp outside and the warm soft inside of the humble potato? It is delicious. Boil the potato, mash, add ingredients then use an onion ring on a plate to form a nicely round shape. Transfer this to an oven dish preheated with sunflower oil (it cooks hotter for a nice crisp exterior) and bake for 10-15 minutes on both sides on 200-220ºC. 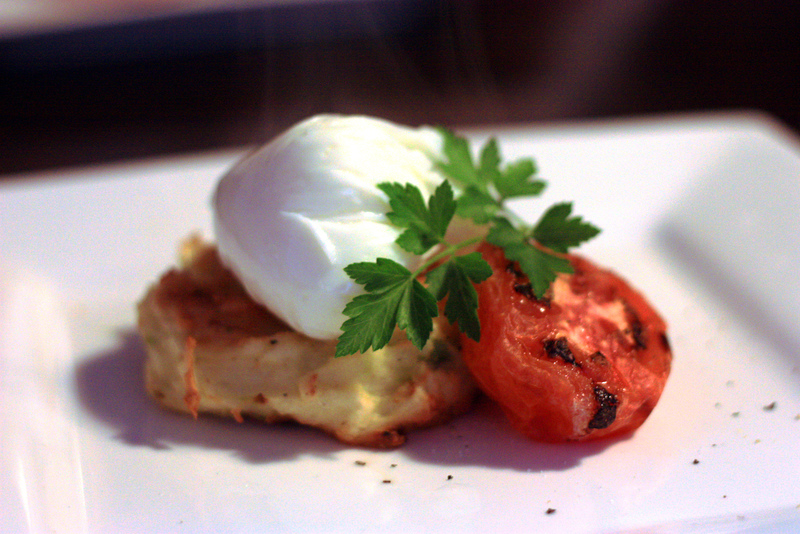 Served with grilled tomato, poached egg, bacon, mushroom, halloumi – whatever takes for fancy.